To contact us, please call our friendly staff using the contact information below. We look forward to hearing from you! 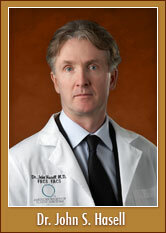 John Hasell, M.D., F.R.C.S.C., F.A.C.S.